Welcome to Robert Pearl Antiques. I am and have been a full-time antiques dealer for the last thirty years specializing in Southern antiques and accessories. In addition to antiques and their restoration, I have restored antique houses for the past twenty-five years (Winston-Salem Journal). Due to my extensive research and knowledge of the regional arts, I have been a guest lecturer at the Museum of Early Southern Decorative Arts. Me, Bob Pearl (left) and my highly trained staff (right), Cory Brandt and Camilo Padillo. Cory has a family tie to Sweden and has studied log building in the Swedish tradition. 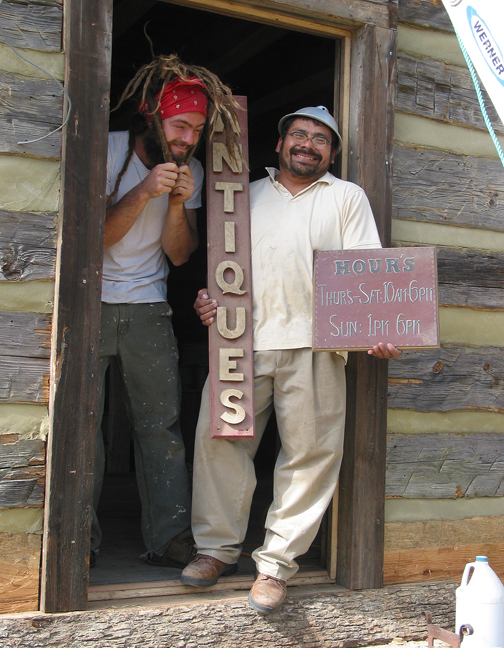 Camilo has built log homes for the last ten years and is an accomplished rock mason. 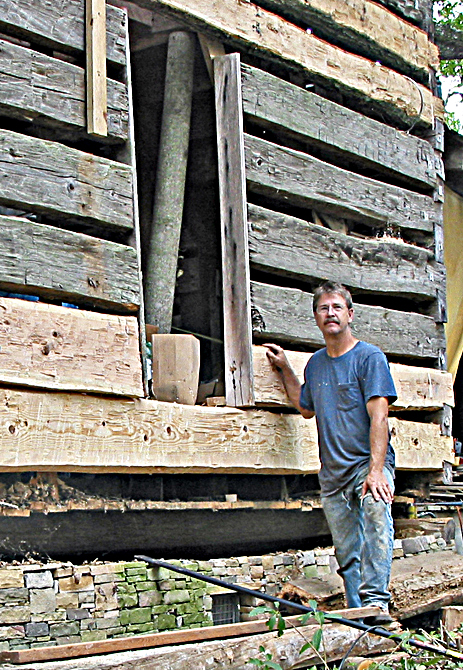 Visit the house restoration site to see them in action.